Casuarina muricata Roxb; Casuarina litorea L.
It is a monoecious tree up to 40 m tall and 100 cm in diameter. The bole is straight, cylindrical, usually fluted towards the base. It is distributed in Malay Peninsula, Myanmar, Australia, Philippines, and islands of the Pacific. It is widely cultivated throughout the tropics. It is particularly favored along seashores. Wood diffuse porous. Vessels in diagonal and/or radial pattern. Vessels exclusively solitary (over 90%). Occasionally tangential diameter of vessel lumina 100 micras or less. Colored deposits in heartwood vessels. Occasionally vessels per mm2 less than 6. Occas Apotracheal axial parenchyma diffuse and/or diffuse in aggregates. Occasionally prismatic crystals in chambered axial parenchyma cells and/or in fibers. 5 to 8 cells per parenchyma strand. Over 9 cells per parenchyma strand. Axial parenchyma in narrow bands o 4 to 10 rays per mm (medium). Rays more than 10 per mm (abundant). Rays of two distinct sizes. Ray height more than 1 mm. Occasionally larger rays more than 4 seriate. Larger rays more than 4 seriate. Occasionally aggregated rays. Prismatic crystals in radial al Fibers very thick walled. Fibers with distinctly bordered pits. It has no taste or odor. 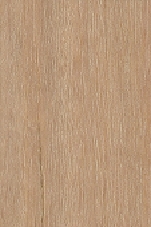 The sapwood is slightly paler than heartwood, which ranges in color from pinkish-brown to chocolate brown. The grain is straight or shallowly interlocked. It is durable when exposed to weather, but must be treated for use in contact with ground. The sapwood treats readily. The heartwood is extremely resistant to impregnation. Ease of Drying: The timber is expected to dry slowly but with only slight seasoning defects. Stock is reported to be too hard for plywood production. When dry it is difficult to work with machine tools because of its high density and hardness. Some chipping may occur in quarter sawn faces. This species is difficult to mold. This species is easy to bore. This species is easy to mortise. 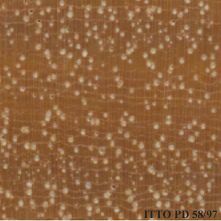 Wood of this species gives a smooth finish. When dry it is difficult to work with hand tools because of its high density and hardness.